Our team had the pleasure of being involved in an incredible project dreamt up by Olivia Cross of Lavish Engagements. Using her incredible creative vision, Olivia put together a team of some of the best vendors BC has to offer. These images are the product of true collaboration and dedication from the involved vendors. 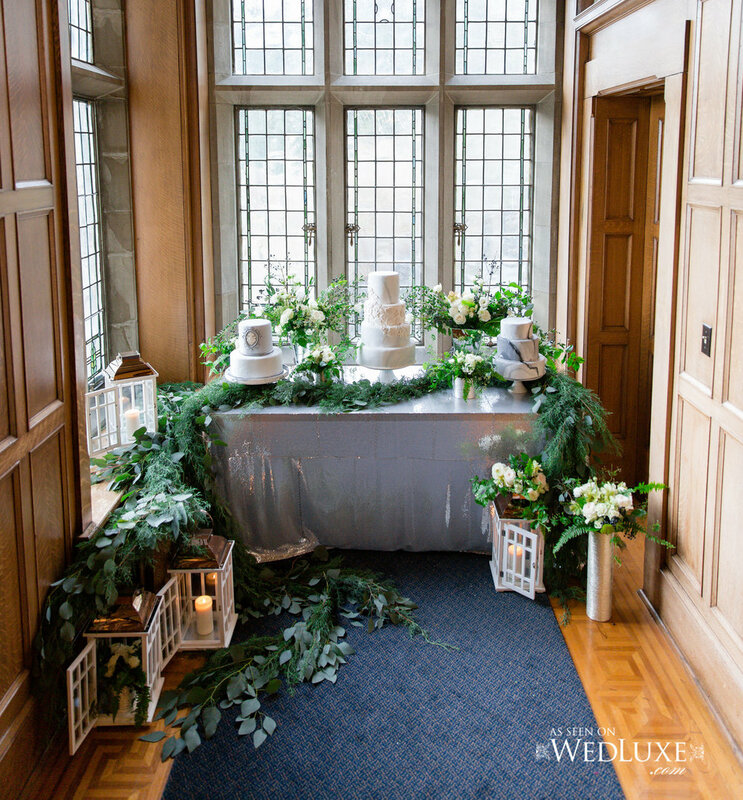 Said best by the talented folks at WedLuxe, "This chic and opulent styled shoot, set within stunning Hatley Castle, is a sight to behold! 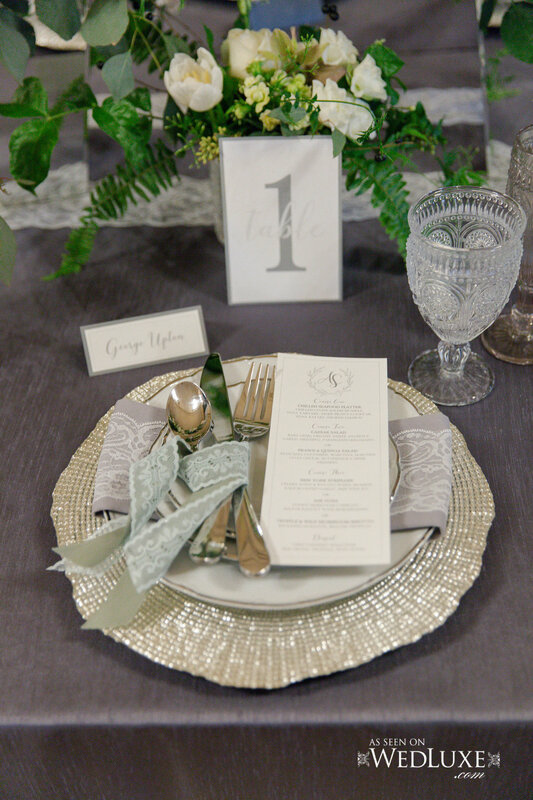 Bold textures in the form of lace, glass, marble, and granite perfectly complement the muted grey, white, and silver colour palette, all of which converge to create a modern yet regal reception venue. Despite the decadent dessert table filled with macarons and three different cakes, the focal point of this shoot was undoubtedly the trailing greenery and white floral accents that filled every room, creating a positively dreamy setting." "This styled shoot allowed me to illustrate my methodology for bridal makeup. In creating a unique look for a bride, I take a more holistic approach, taking into consideration the entire aesthetic of their day. I always stress the importance of understanding the venue, flowers, style of dress, colour palette etc to create a look that is curated with those elements in mind. This particular makeup look was driven by romance and opulence. The rich warm tones on her eyes were chosen and purposefully blended to create a classically dramatic look with an inherent element of softness. Given the shape of her eyes, voluminous lashes were able to be used to frame the eye without overshadowing the look. Her lips were more muted as to not distract from her eyes, but carefully created so the texture would be that of velvet, mirroring the finish on her skin created by airbrush foundation. Natural blush and a satiny, strategically placed highly round out this stunning bridal makeup look". "Inspiration flowed from all aspects of this styled shoot. As I developed the hair style, I intended to convey a romantic, whimsical and airy feeling. Having the style remain soft but impactful was my intention; face framing tendrils flow back into loose, soft twists that give a low crown like affect through the back. The ends of her hair gather into flowing full waves that sweep off to one side over her shoulder for a beautiful side swept look. Often our bridal clients with longer hair express an interest in showing off their length, but while still having the hair gathered to ensure longevity throughout the day. This style is a wonderful way to have the hair up, yet away from her face while showing of length and volume." *Kimberly owns THE GROVE HEALTH AND BEAUTY, she represented Artistry By Alexa on this project. VISIT THE WEDLUXE BLOG for more amazing photos!